Photo ID cards are important. They secure your premises, your staff and your reputation. So why would you choose us to make them for you? Simply because we make them better and we understand how important they are to the company and the cardholder. Nobody likes an ugly or poorly printed photo ID. 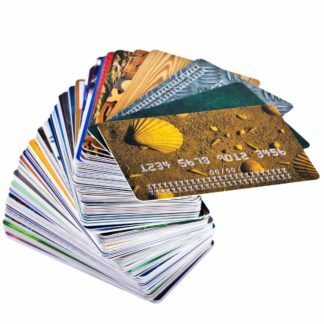 Our cards are printed in our own dedicated card factory where we use the same equipment to make over 1 million retail, security, access and ID cards per month. We are equipped with the necessary equipment, skills and staff to accommodate small and massive order volumes. These ID cards can be combined with RFID smart card chips, holograms, UV features, embossing, magnetic stripes, barcodes, foiling, encoding and many more features. Just ask us if you are unsure, explain your needs and we’ll offer you our solution to come up with what’s best for you. We understand that your corporate ID card is an extension of the corporate image and a key component of staff security. We focus on quality and value and not cheap and nasty. Whether you want us to only pre-print the core of the cards or print the entire card is up to you. Setup Fee of R350 excl VAT applies per order.